We also rent surfboards, standup paddle boards and wetsuits at Cisco Beach. Gary “Kona” Kohner (Owner) grew up on Nantucket and started surfing in 1984. 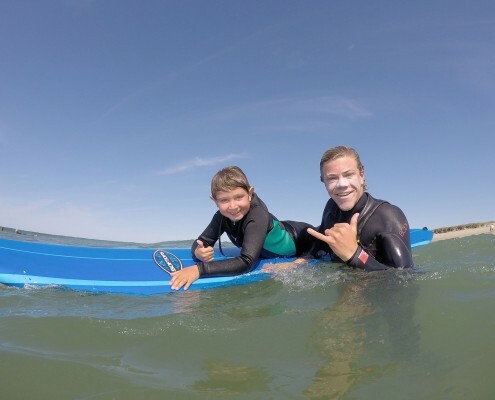 He started Nantucket Island Surf School in the summer of 1999 to share his love of surfing and the ocean with others. He is certified in life saving and CPR. He has surfed in Brazil, California, Chile, Costa Rica, El Salvador, Hawaii, Panama, Ireland, Spain, Madeira Island, Peru, Samoa and South Africa. Gary spends his winters in Costa Rica teaching surfing, working on his tube riding skills and living the “pura vida”. He spends his summers on Nantucket at Cisco beach runningNantucket Island Surf School and occasionally surfing himself when the conditions are too big for teaching. Gary has personally introduced thousands of people of all ages to surfing. Private lessons consist of one on one teacher to student instruction for any level student. They include all equipment and consist of on the beach and in the water instruction for a first lesson. Subsequent lessons will be conducted mostly in the water with little or no beach time. Group lessons consist of more then one student per instructor. All group lessons include equipment, and on the beach as well as in the water instruction. Smaller groups of 2 to 4 students can take the one hour lessons, while larger groups usually require two hours of instruction for a first lesson. Mini Surf Clinic for kids will run Monday-Friday from 8:45a.m. – 11:45p.m. Generally, the minimum age is 12, however we will take younger students if we feel their abilities will allow them to keep up. Space is limited. Please call for more details. 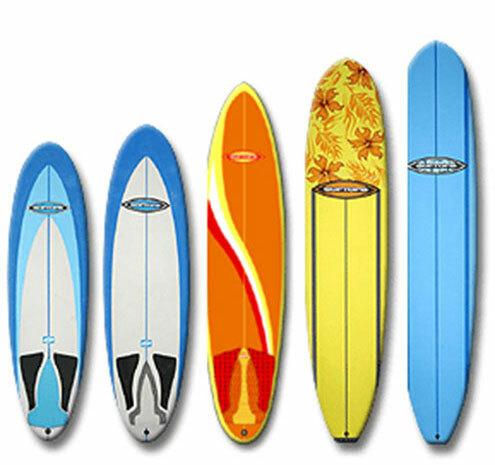 We have an extensive assortment of surfboards available for hourly, half day, daily, 3 day, and weekly rental. Hourly and half day rentals are for Cisco Beach only. 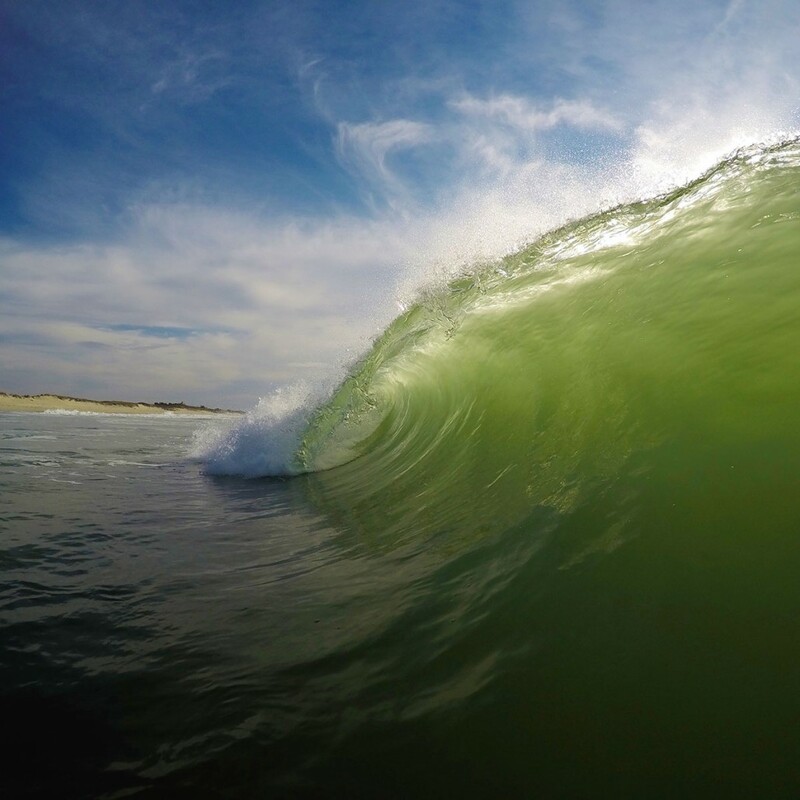 Daily, 3 Day and Weekly rentals can be taken to any surfing beach on Nantucket. • Hourly – Just what it sounds like, a surfboard for an hour. • 1/2 Day – A half day is a 4 hour rental. • Daily – A daily rental is all day, but has to be back to the van by 5:30pm. It is not a 24 hour rental . • 3 Day – A 3 day rental is for 3 calendar days. Boards should be returned to the van at Cisco by 5:30pm on the third calendar day. • Weekly – A weekly rental is for seven calendar days. Boards should be returned to the van at Cisco by 5:30pm on the seventh calendar day. 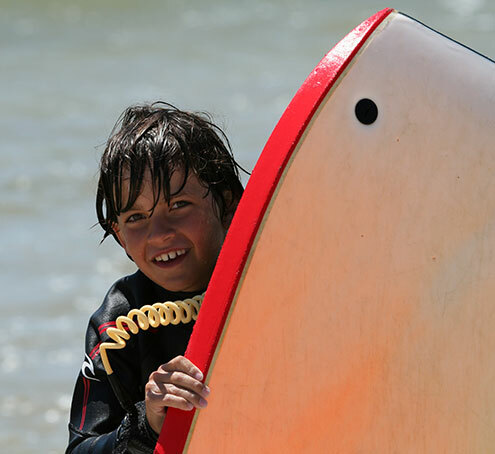 An extensive assortment of SurfTech® SoftTops, the same ones that we use for our surf lessons. every shape and size from 10′ longboards down to 5’6″ fish. Come down and get your favorite one today! 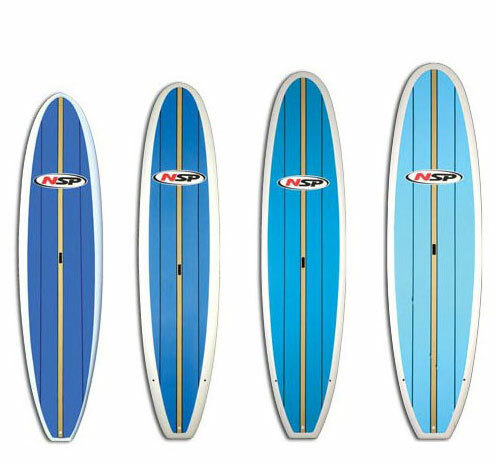 Tuflite / Polyester surfboard rentals From high performance and nose rider longboards to mid length eggs and fun boards down to shortboards and fish, we have the right board for you. Whether you’re an experienced surfer who needs a board for the week/weekend or a new surfer who wants to try a “real” board for a few hours, we have what you need! Board bag, straps and wax are included in longer term rentals. 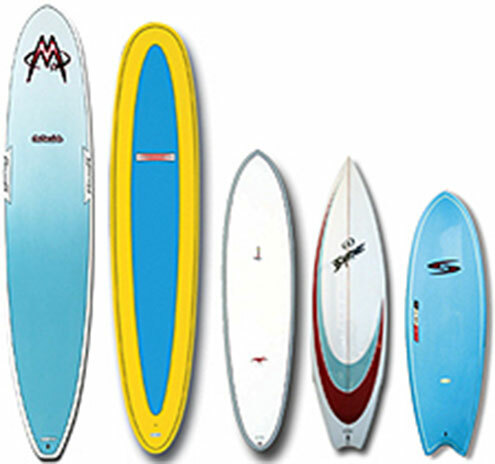 We have a selection of Stand Up Paddleboards from Surftech®, NSP and Boardworks. We encourage people who want to rent these to take them to flat water if they are just learning as they can be dangerous in the surf if you don’t have the ability to control them. The boards can be taken to other beaches or locations. We have a limited selection of bodyboards and a sizable selection of full and short wetsuits from Rip Curl® availible for rent. 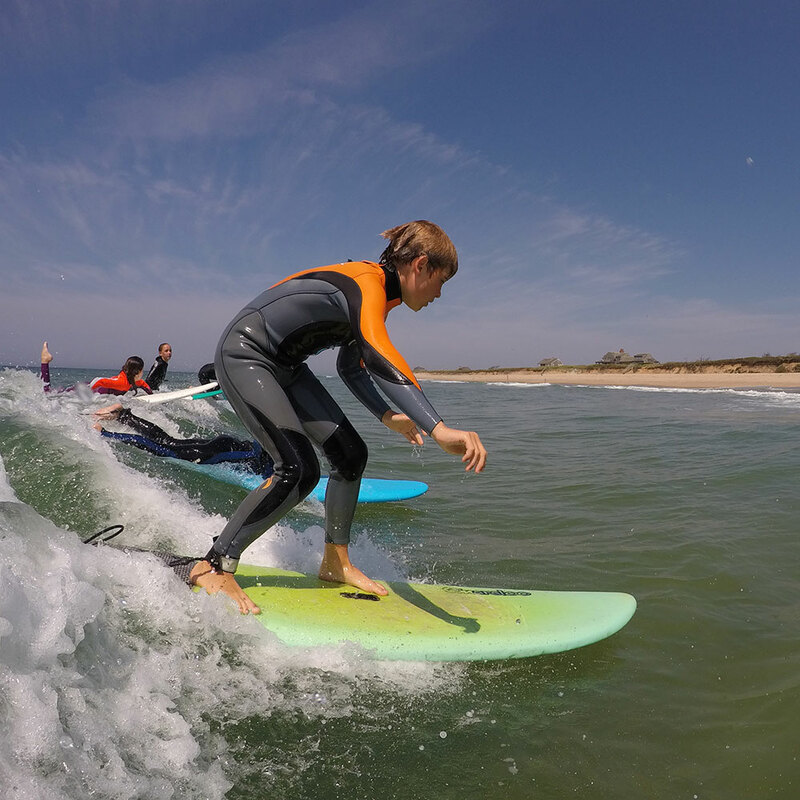 Here at Nantucket Island Surf School our goal is to provide surfing lessons in a safe, conscientious, professional and fun environment. Our instructors are certified in lifesaving ,first aid and CPR. We use soft-top boards that are equipped with rubber safety fins to minimize risk. We will cancel lessons if we feel the surf is too rough. Q: Do I need a my own board and wetsuit? A: No. We provide all the equipment and it’s included in the cost of the lesson. Q: Does it matter if I’ve never tried surfing before? A: Of course not! We teach total beginners everyday. Just bring some enthusiasm and a don’t be afraid to fall it’s just water! Q: Do you surf in the rain / fog? A: Yes! You’re going to get wet anyways so why worry about a little rain. Fog happens a lot on Nantucket but it’s harmless your wetsuit will keep you warm. However, thunderstorms with lightning (although very rare in Nantucket during the summer) is a different story and in that case we would reschedule. Q: What happens if there are no waves or if the waves are too big? 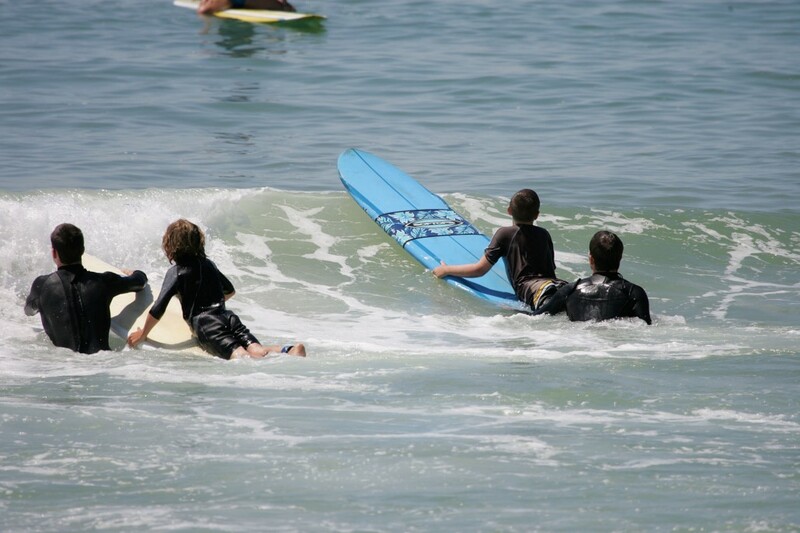 A: We reschedule if there is absolutely no surf or if the surf is too rough to teach lessons safely. Q: How old do my kids have to be to start taking lessons? A: We’ve taught some kids as young as 5, but it depends on their comfort level in the ocean and they should have basic swimming ability. With beginners under 12 we recommend private lessons. Q: Am I too old to surf? A: Surfing is a somewhat rigorous physical activity. However, if your’e in decent shape and don’t have any serious health risks your never too old. A: Yes, conveniently use your Visa or Mastercard and give us a call to book your lessons, rentals or weekly surf camp. A: We are surfing in the Atlantic ocean and sharks live in the ocean. That being said, we have never had any problems in Nantucket with sharks. Q: How many lessons do I need to take to learn how to surf? A: It really depends on the individual but almost everyone is standing up and riding waves within the first half hour of their lesson. However, just because you stand up does not mean you know how to surf. Surfing takes time to learn especially if you want to surf well. Our goal is to give you a headstart and solid foundation to build upon. Practice, practice, practice (it’s FUN)! Q: Are you on Facebook, Instagram and Twitter? A: Yes, we have a Facebook fan page and a Twitter page with the latest Nantucket Island surf reports from Cisco Beach. Give us a call to book a lesson or rental. 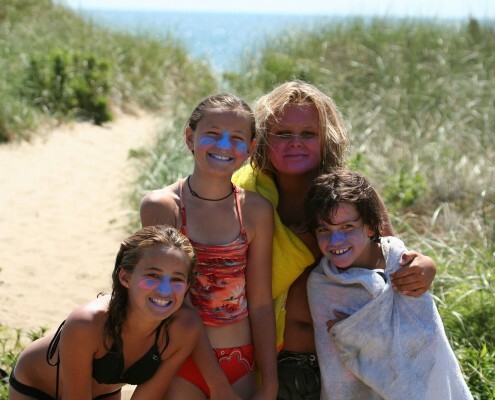 Nantucket Surf School is located on Nantucket Island in the parking lot @ Cisco Beach on the South Shore. Take Hummock Pond Road and take your last left onto a Dirt Road before the "End of the Road". If you get to a dead end road, you've got to far. Turn around and make your first right onto a dirt road. Look for the big white box truck and surfboards.